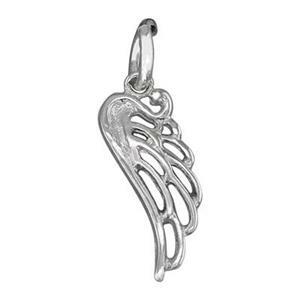 A sweet, elegant angel wing charm that symbolizes faith and hope. This sterling silver silhouette style has a crisp simplicity that works best in contemporary designs. The charm is a sturdy casting that can stand up to frequent wear. Try it out and let us know what you think! Thick and well made, tiny. Just what I was looking for.